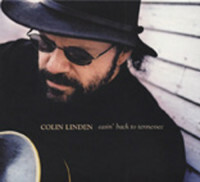 Colin Linden is a multi-talented singer, songwriter, guitar player, and producer from Canada. As an in-demand session player, he has contributed to more than 150 albums. He has produced more than thirty albums for The Band, Colin James, Leon Redbone, Bruce Cockburn a.m.o. When he was seven years old, he already played guitar. At the age of eleven he met Howlin' Wolf, legendary bluesman from Chicago. They chatted for several hours and became close friends. This friendship lastet until the Wolf's death in 1976. To this day, Colin names the Howlin' Wolf his most important inspiration. 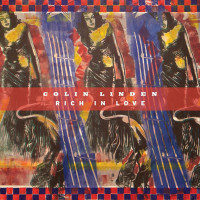 Colin wrote the hit record 'Guitar Talk' for Michelle Wright and he produced albums with Sue Foley and Canada's most popular blues and roots rocker, Colin James. As producer, he's a multiple Juno Award (the 'Canadian Grammy') winner. He can be heard playing guitar on 'Hard Times Killing Floor' in the movie 'Oh Brother Where Are Thou '. His latest, self-produced album 'Easin' Back To Tennessee' contains some of his own songs, but also a nice selection of tunes written by some of the greatest in acoustic blues. Colin's new versions are simply inspiring. Some tracks were recorded solo, others have him backed by an exquisite ryhthm section that has worked and recorded with Tom Waits, and John Hammond Jr. in the past. 'Easin' Back To Tennessee' is presenting acoustic blues at its best, performed by the multi-awarded producer and songwriter, in-demand session musician, and solo performer Colin Linden. It's his ninth album release, a little masterpiece, a special recommendation for all friends of great acoustic music. 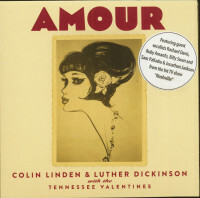 The album is easily accessible and proof for Linden's state-of-the-art guitar playing. 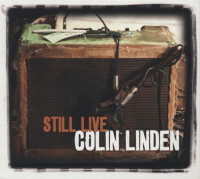 Colin Linden - acoustic guitars/vocals, Larry Taylor - upright bass, Stephen Hodges - drums. Customer evaluation for "Easin' Back To Tennessee"